In the week before Easter (Pasqua) pilgrims from around the world travel to Italy to commemorate the passion, death and resurrection of Jesus Christ (passione, morte e resurrezione di Gesù Cristo). Every region celebrates with rituals that are a rich blend of faith, folklore, tradition and community. In the massive piazza of St. Peter’s Basilica at the Vatican, tens of thousands gather to re-enact Christ’s triumphant entrance into Jerusalem. Chants of “Osanna!” echo through the vast square as the Pope blesses the palms and sends a special message to the youth of the world. Throughout Italy worshipers carry crosses made from palm fronds (foglie di palma intrecciate a forma di croce) and olive branches (ramoscelli di ulivo) as they leave church. In Castelsardo in Sardinia, famous for its elaborate Holy Week celebrations, an evocative ritual called Lunissanti begins at dawn and continues into the night. The Confraternita di Santa Croce (brotherhood of the Holy Cross), wearing long white hooded tunics and carrying religious symbols, marches in procession and sings medieval songs in a unique style called faburden or fauxbourdon (French for false bass). Similar ceremonies are held in other Sardinian villages throughout la settimana santa. The faithful gather in the late afternoon or early evening for the Mass of the Last Supper (La Messa del’Ultima Cena), when Christ created the sacrament of the Holy Eucharist (il sacramento dell'Eucarestia). In a gesture of humility and Christian brotherhood, priests (including the Pope himself) recreate Christ’s bathing of the feet (la cerimonia della lavanda dei piedi) of the Apostles by washing the feet of twelve parishioners. Some villages in Italy stage dramatic processions or re-creations of the Stations of the Cross (le Stazioni della Via Crucis). In Trapani, a Sicilian town, the solemn procession, pictured above, lasts for 24 hours. The oldest Good Friday procession in Italy, held in Chieti in the Abruzzi, features 100 violinists playing Selecchi's Miserere. the white procession (processione bianca) in the morning, with participants wearing white, symbolic of Mary’s hope as she searches for her son, and the black procession (processione nera) in the evening, where black represents Mary’s sorrow as she beholds his dead body. In Rome the Pope leads a procession through the Stages of the Cross in and around the torch-lit Colosseum. As thousands of worshipers clutch candles in the dark, professional actors read dramatic interpretations of Christ’s suffering -- one of the most moving religious experiences I’ve ever had. Mass is not celebrated during this day of silence and prayer in honor of the dead Christ, and the tabernacle, which usually contains Communion hosts, is left empty and open. After sundown the solemn Easter vigil (Veglia pasquale) begins with the liturgy of fire (la liturgia del fuoco) and the lighting of the Easter candle (il cero pasquale), which represents the “Light of Christ” (la luce di Cristo). Readings from the gospels (vangeli) recount the appearance of the angels to the women who came to the tomb in search of Christ. During the liturgy of the baptism (la liturgia battesimale), the faithful (i fedeli) renew their baptismal vows. I recently wrote a post on my blog about the possible (and formally wrong!) use of the imperfetto in spoken Italian. I think it’s a fun topic--and useful if you want to understand how some complicated Italian grammar is simplified in daily conversational language. If you are a beginner and know basic grammar, I’m sure you already have come across the imperfetto, a past tense with no equivalent in English. Normally, we use it for describing usual or intermittent actions in the past or past actions without a clear beginning or end. In other words, it’s an incomplete, “imperfect” past tense -- hence the name. • Che cosa facevi quando eri un bambino? -- What would you do when you were a child? • Mangiavi spesso al ristorante in Italia? -- Did you use to eat at the restaurant (when you were) in Italy? Is this correct grammar? No, but the imperfetto is rapidly replacing the condizionale passato, sometimes even the congiuntivo. Whether it’s right or wrong (wrong! ), this is a widespread trend. • "Vorrei un bicchiere di vino" instead of "Voglio un bicchiere di vino." ("I’d like a glass of wine" instead of "I want a glass of wine.") This is very polite -- and correct. • Che film volevi vedere domani? -- Which movie did you want to watch tomorrow? It sounds absurd, but it’s possible in everyday speech. The person asking this question is talking about a previous discussion. The person addressed wanted to watch a movie, which will be on TV tomorrow--but which one is it? It’s a typical simplification, common in the informal language. The speaker breaks down a complex sentence and makes up a simpler one, connecting a past event (the previous knowledge) and a future event (the topic of the discussion). Conclusion: Don’t get me wrong. You should study Italian and follow the correct grammar, spelling rules, syntax and logic. Only once you master and understand the basics will you be able to use consciously some “wrong” grammar in spoken Italian, bend the rules, oversimplify the language--and relax and be happy as you chat. Dante-Learning is an online Italian language school based in Milan and Tokyo, with students from many countries, including the U.S., Canada, Australia and Japan. Last Spring a young woman belted out Alicia Keys’ “No One” at a blind audition for Italy’s The Voice. Judges and viewers sat with open mouths (a bocca aperta) when they realized that the spirited singer was an Ursuline nun dressed in a plain religious habit (abito), sensible black shoes (scarpe nere) and a crucifix (crocifisso) around her neck. Sister Cristina, a devotee of the Madonna and a fan of "the other Madonna," says she chose the tune “with no desire to provoke or shock” (senza nessuna volontà di provocare o di scandalizzare). Reading the lyrics, she realized that it is a song about the capacity of love to make people new (una canzone sulla capacità dell’amore di fare nuove le persone) and redeem them from their past. Sister Cristina interpreted the lyric “touched for the very first time” as “ il tocco di Dio” (the touch of God) when he called her to una vita nuova (a new life), restoring to her la purezza, la dignità di essere Figlia Amata da Lui (the purity, the dignity of being His Beloved Daughter). Like Madonna’s thirty years ago, Sister Cristina's video of “Just Like a Virgin” is set in Venice. A few of the suggestive lines have been omitted, and the racy number now sounds, as Sister Cristina puts it, more like a ballata romantica (romantic ballad) or una preghiera laica (a secular prayer) than un brano pop (a pop song). A reviewer described it as “una sorta di inno religioso” (a sort of religious anthem). The unlikely singing star with the celestial voice (con la voce celestiale) was born in Sicily in 1988. Although she originally came to Rome to prepare for a theatrical career, Cristina became a novice (novizia) in 2009 and worked for two years with poor children (ragazzi poveri) in Brazil. Returning to Rome, she first gained recognition in 2013 when she won a Christian singing contest (concorso canoro). (Life will surprise us with its design / project that becomes masterpiece / It’s enough to have faith and then / Love will win.) Sister Cristina might well be singing about her own life story. ITALY Magazine's "Blogger of the Week"
MONA LISA: My "Glorious Excuse"
The Fourth of July may be the most American of holidays, but this year it provides an opportunity to do something very Italian: fare il ponte (make the bridge). This is no architectural construction but an extension of a national holiday that occurs during the week through the next weekend. Since July 4 falls on a Thursday, many of us are stretching il ponte over Friday for a four-day weekend. The descendants of Rome's famed acqueduct builders are masters of such creations. Depending on the calendar, Italians may enjoy a ponte di Capodanno (New Year's bridge), a ponte di Pasqua (Easter bridge), or a ponte dei morti (bridge of the dead) for the November 1 holiday of All Saints Day (Tutti I Santi). For Ferragosto, the quintessential Italian summer holiday, il ponte may stretch even farther to include the weekends before and after August 15. Italy is famous for other ponti, of course. The picturesque Ponte Vecchio, Florence’s oldest bridge, has housed goldsmiths’ and jewelers’ shops for centuries. The Ponte dei Sospiri (Bridge of Sighs) in Venice connects the Doges’ palazzo with the dungeons. It owes its evocative name to the sorrowful sound of prisoners who caught their last glimpse of La Serenissima through its windows as they headed to their cells. Italian and English also share a common bridge-based expression. We look back and say, “Ne è passata di acqua sotto i ponti!" or "A lot of water has gone under the bridges." Less literally, the past is past, and many things have changed. 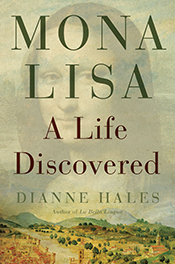 Dianne Hales is the author of LA BELLA LINGUA: My Love Affair with Italian, the World's Most Enchanting Language. Click here for more information on her "writer's studio" in Capri this fall. This is the year to discover Italy--without even leaving the country. Few cultures have contributed as much to the United States and to the world. 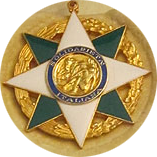 Italians gave the name "America" (a tribute to the Florentine navigator Amerigo Vespucci) to Americans; created the first universities, law and medical schools, banks, and public libraries; taught diplomacy and manners to Europe; mapped the moon (in 1651); split the atom; produced the first modern histories, satires, sonnets, and travelogues; invented the battery, barometer, radio, and thermometer; and bestowed on the world the eternal gift of music. To me Italian—la bella lingua—is no less a part of Italy’s rich cultural heritage than Petrarch’s poetry, Michelangelo’s sculptures, Puccini’s operas, or Fellini’s movies. To celebrate a year of Italian culture and language, I will expand the focus of my blog to include arte, musica, teatro, patrimonio architettonico e paesaggistico, cinema, letteratura, scienza, design, moda, cultura politica, giuridica ed economica, e cultura alimentare (art, music, theatre, architectual and landscape heritage, cinema, literature, science, design, fashion, political, legal and economic culture, and food culture). *Michelangelo's "David-Apollo," at the National Gallery in Washington D.C. until March 3. *Leonardo da Vinci’s “Codex on the Flight of Birds,” his famous manuscript showing his plans for a Flying Machine, at the Smithsonian National Air and Space Museum in Washington D.C. from May to June, 2013. *A comprehensive presentation of the Venetian painter Paolo Veronese at the Sarasota Ringling Museum until April 14. *Caravaggio’s “Adoration of the Shepherds,” on display for the first time in the United States at the San Francisco Legion of Honor in February and his “Raising of Lazarus” at New York’s Metropolitan Museum of Art in September. *Artemisia Gentileschi’s Judith and Holophernes at the Art Institute of Chicago in October. *Works by Giuseppe Verdi performed by the Boston Symphony, Opera San Jose, Colorado Symphony, Opera Santa Barbara, Metropolitan Opera of New York, Pittsburgh Opera, New Orleans Opera, Dallas Opera, Tulsa Opera, San Diego Opera, Houston Grand Opera, Florida Grand Opera, and Chicago Opera Theater. Other happenings include an Italian photography exhibit at the Phillips Collection in Washington D.C., a reading of his translation of verses from Dante’s Inferno by the former poet laureate Robert Pinsky at New York University, conferences on Italian writers such as Italo Calvino, Primo Levi and Giacomo Leopardi at various colleges, and an exhibit of Italian yachts and luxury vessels in Fort Lauderdale. Italian wine-makers and chefs also will be showcasing the tastes of Italy at dozens of sites around the country. Click here for further information on programs, places and dates. The title is well-deserved. For centuries “Italy” has been synonymous with art (arte). An estimated 60 percent of the world’s designated art treasures reside within its borders, and Italian paintings and sculptures grace museums and collections around the globe. But Italy did more than inspire masterpieces: it developed the visual language of Western culture and changed forever our concepts of beauty and its creators. For its part, Italy has announced, “Per due giorni lasciamo le porte aperte.” (For two days we leave the doors open.) On Saturday and Sunday, September 24 and 25, visitors will have entra gratis (free entrance) to all state luoghi della cultura (cultural places). Those of us lucky enough to be in Italy will have access to 5,105 museums, theatres, concerts, performances, meetings, exhibitions and educational workshops. You can find the complete program here. The Italian minister for cultural arts and activities has declared that this weekend is “una preziosa occasione” (a precious occasion) to re-affirm with other nations their “radici culturali e storiche comuni” (common cultural and historical roots), even in these momenti di crisi (moments of crisis). This awareness may, he noted, help the European community trovare le risposte necessarie ad affrontare le sfide del presente” (find the necessary responses to confront the present challenges). Art has always had a powerful impact on the individual and on society. When they were created, the works of the Renaissance artists inspired reactions such as meraviglia, a sense of marvel or extraordinary delight, and stupore, which David Summers defines in Michelangelo and the Language of Art as “the state resulting from the perception of a thing that exceeded the limits of the senses.” Perhaps these are just what a weary and woeful world needs now. 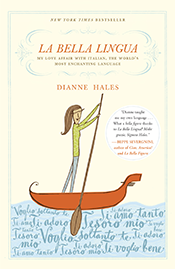 Dianne Hales is the author of LA BELLA LINGUA: My Love Affair with Italian, the World’s Most Enchanting Language. The Oscar-winning actor Dustin Hoffman and I have never had anything in common—until now. We both took on a daunting challenge: reciting one of the great poems of Italian literature, l’Infinito, written by Giacomo Leopardi in 1819 and revered for the beauty of its language. In the verse, Leopardi describes sitting on a hill, his view of the horizon blocked by a hedge, and imagining spaces without limits. A sense of the eternal and the infinite washes over him. Most Italians know at least a few lines by heart; some can recite the poem in its entirety. Years ago an Italian teacher had me repeat the lines of “L’Infinito” over and over so I could improve la mia pronuncia (my pronunciation) and catch the rhythm of Italian. I stumbled. I stuttered. I tripped over my tongue. Despite my earnest efforts, I couldn’t mimic her melodious phrasing. My only comfort was that no one else heard my disastrous debut at Italian poetry-reading. Dustin Hoffman may wish he could say the same. Leopardi was a native of the Marche, a lush region of craggy mountains and jewel-like cities in central Italy. For reasons that mystify many, its tourist agency hired Hoffman to read Leopardi’s poem for a commercial promoting the Marche. Italian-Americans like Robert di Niro, Al Pacino, or Leonardo di Caprio, as well as Italy’s favorite adopted son, Giorgio Clooney, must not have been available. Anyone who has ever tried to learn to speak Italian as an adult knows exactly how he feels. But the Italians weren't sympathetic to his brutta pronuncia. "The commitment is there," a critic wrote in the Milan newspaper Corriere della Sera, but Hoffman's pronunciation "cannot fill up the astronomical distance from the Italian ear." YouTube viewers agreed. "Dustin Hoffman and the Marche go together like the Dalai Lama doing a spot for Las Vegas," one said. Gian Mario Spacca, the governor of the Marche, sounded as philosophical as the Dalai Lama when he told Corriere della Sera: "The difficulty that Hoffman finds in the recitation could symbolize the more universal one of coming closer to an unknown culture." You can listen to an impeccable rendition of L'infinito by the great Italian actor Vittorio Gassman below as you read Leopardi's poem in Italian or English. E viva, e'l suon di lei. E'l naufragar m'è dolce in questo mare. of the world’s flung horizon from my view. ntil the heart is all but daunted. he sheer sure sound of it. and shipwreck is a sweet thing on this ocean.